Alice Cooper has announced his early 2018 tour plans. 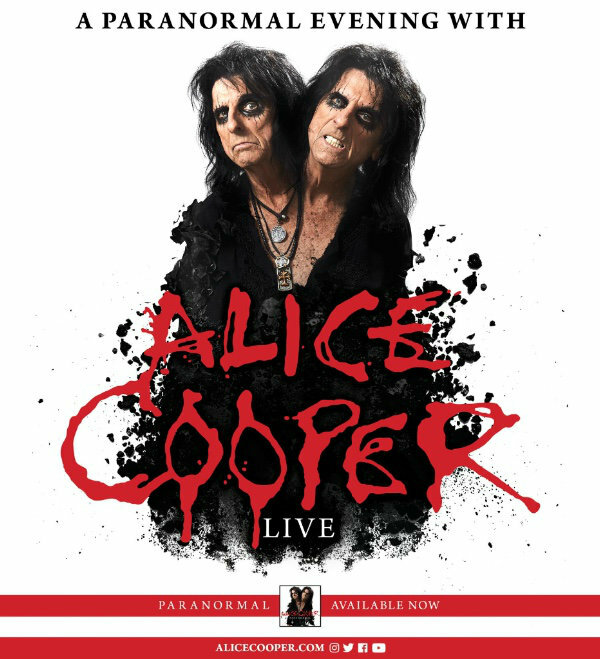 The legendary rocker will hit the road for a North American trek, dubbed "A Paranormal Evening With Alice Cooper". The tour kicks off on March 1 in Windsor, Ontario, Canada, and runs through March 29 in Indianapolis. Cooper released "Paranormal", his first album in six years and twenty-seventh overall, via earMUSIC in August. The disc features special guests like U2's Larry Mullen Jr., who plays on nine of the twelve new songs; Billy Gibbons of ZZ TOP; DEEP PURPLE's Roger Glover, as well as a highly anticipated mini-reunion of the original Alice Cooper band members. Upon release, "Paranormal" climbed the iTunes rock charts, landing at No. 1 in twelve countries and the Top 5 in twenty countries. 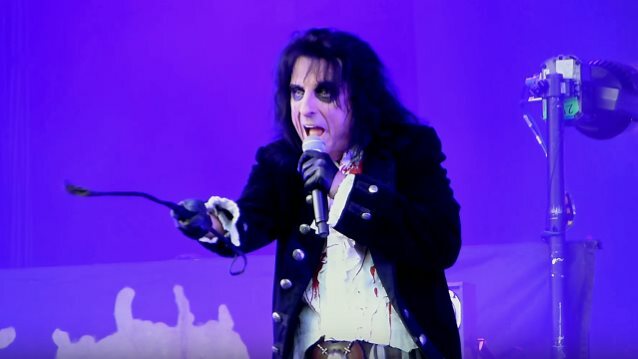 Alice told The Spokesman-Review about his current tour: "It's a pure Alice Cooper show with the snakes and guillotine and the straight jacket, but there's a bunch of stuff you haven't seen before — there's a 13-foot Frankenstein. It starts in fourth gear and stays there… It's like a freight train and every single song has some theatrical device." Cooper added that he is working with the best touring band of his career. "The one thing I know is going to happen is they're going to be dead on,” Cooper said. "We get to be in The Show. The most fun you have all day should be on stage, and they feel that way. "I believe the next show is going to be better than all the others," he said.